When they marry, Kate will be oldest royal bride in history. Kate was a model at university. Kate prefers the name Catherine in everyday life. Kate's nickname in the British tabloids was Waitey Katey. Kate was a Brownie (Girl Scout) as a child. Kate's mother was a flight attendant and her father an airline pilot before setting up a mail order family business called Party Pieces. Kate Middleton’s parents were determined to give Kate the best education possible. From the age of four to eleven, Kate attended St Andrew’s Prep School in Pangbourne, Berkshire, followed by two years at Downe House in Newbury. Kate later went on to attend Marlborough College in Wiltshire and St Andrews University in Scotland. Kate performed well, academically, gaining high grade passes in eleven GCSE and three good A-levels. Before attending St Andrews University, where she studied History of Art, Kate decided to embark on a gap year travelling around Italy and South America. Kate’s love of fashion became obvious when she modelled in a college fashion show called “Don’t Walk” sponsored by Yves St Laurent. Kate famously caught Prince William’s eye on the “Don’t Walk” catwalk, whilst modelling the “see through dress”. Since Kate began dating Prince William, she has appeared on several best-dressed lists and has been selected by various newspapers and magazines for fashion related awards. Kate went on to pursue her ‘passion for fashion’ through her work at the fashion retailer Jigsaw. Click on the links below to find out more about Kate’s love for fashion. Catherine (Kate) Elizabeth Middleton born in Reading, Berkshire. Kate Middleton attends Marlborough College a co-educational independent (public) school in Wiltshire. Kate Middleton attends the University of St. Andrews in Fife where she met Prince William. Kate graduates from St Andrews with a 2:1 (Hons) in the History of Art. Kate Middleton starts work as a buyer with the retail clothing chain Jigsaw. 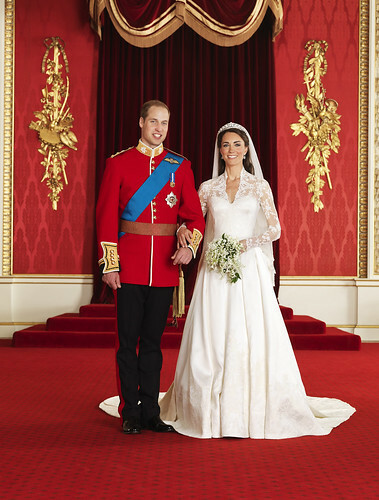 It was widely reported int he British media that Kate Middleton and Prince William had ended their relationship. Kate Middleton and Prince William insist they are just good friends after reports of a reconciliation. Prince William and Kate Middleton become engaged in Kenya. Clarence House officially announce the royal engagement.